The ship's hull was painted in royal blue and gold. The decorations are shown in the model in very detail. The ship model was built without sails to allow for a better view on the very detailed, impressive rigging. The model clearly shows the impressive lines of hull and rigging that were typical of ships of that age. The flag at the stern shows the royal standard of the 17th century. 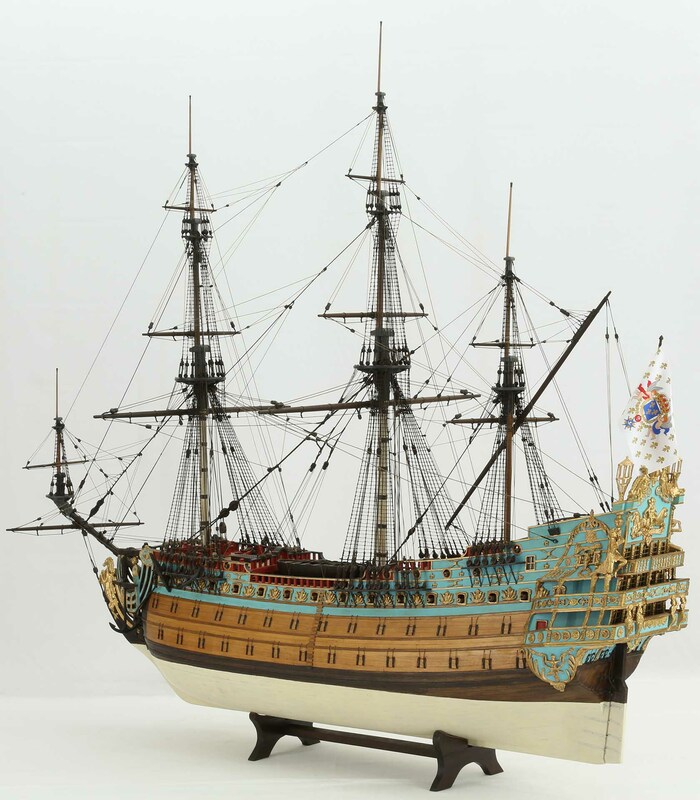 The finely worked, detailed ship model is 1 : 77 scale. Length is 101 cm, width 44 cm, height 92 cm. 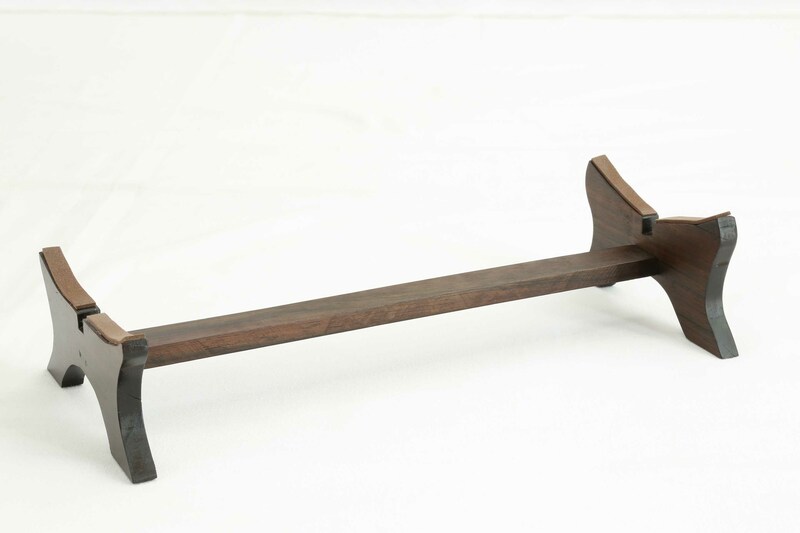 The ship model's stand is made from ebony. It goes well with the planking. The model can be taken out of the stand, e.g. for transport.